The term Pentateuch refers to the first 5 books of the Hebrew Bible (Genesis, Exodus, Leviticus, Numbers). Tradition states that Moses was the original author of these books but biblical scholarship has put this claim into question. The most notable argument being the Documentary Hypothesis (J, E, D, P) made famous by Julius Wellhausen in the late 19th century; however there has been growing tension concerning the validity of the Documentary Hypothesis, most notably the strand known as J. This short LibGuide will provide students with scholarship that touches on this important question that still pervades within Hebrew Bible scholarship, "Who wrote these books?" as well as introductory works on the five books. This LibGuide will not include commentaries on these books. HERE is a link to the Hebrew Bible Commentaries LibGuide that provides links to many of the digital commentaries available in the DTL. As with all LibGuides these are just some of the many resources made available through the DTL. To access more please use the search bar above. 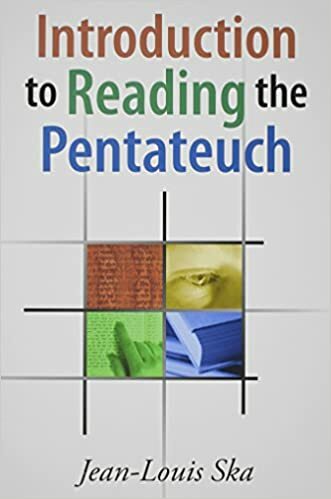 "Desmond Alexander provides an introduction that considers the Pentateuch as a whole, both thematically and theologically. The Pentateuch is presented as a unity, yet the variety of topics within it receive substantial and penetrating treatment. It is the sort of study that many readers and their teachers have long wanted on this first section of the Old Testament." Joel Baden, "From Joseph to Moses: The Narratives of Exodus 1-2"
David Carr, "Unified until Proven Disunified? Assumptions and Standards in Assessing the Literary Complexity of Ancient Biblical Texts"
John F. Craghan, "The Elohist in Recent Literature"
J.A. Emerton, "The Priestly Writer in Genesis"
James Muilenburg, "Form Criticism and Beyond"
Robin Parry, "Source Criticism and Genesis 34"
Jeffrey H. Tigay, "An Empirical Basis for the Documentary Hypothesis"
Pentateuchal Studies LibGuide by Christopher Crawford is licensed under a Creative Commons Attribution-NonCommercial-NoDerivatives 4.0 International License.